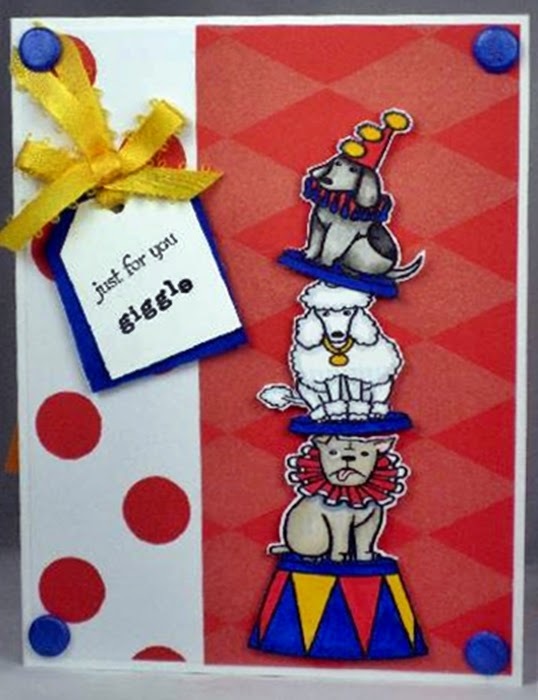 Here's another of the digis from my Circus set, 3 Circus doggies each posing on their own plinth. And as I didn't get time to make any cards yet here's a brilliant one made by the very talented GINNY. I hope you like them, more to come soon. Thank u so much. Love the card. Lovely circus pets. Thank you for sharing. Thank you Vince for the freebie sketches and for the shout out for my card! I love playing with your drawings!